Concrete planters are great for adding color and beauty to any setting. They are also great for adding security, as security barriers. 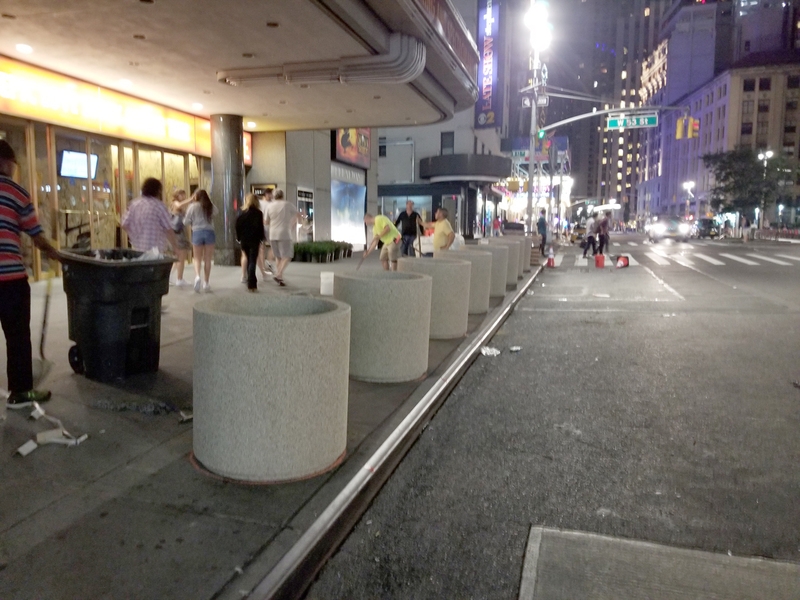 In August of this year Doty & Sons shipped concrete planters to Nelson Construction to be installed on Broadway St. in New York City. The planters they chose were 36” Dia. X 30” High and 26” Dia. X 30″ High. 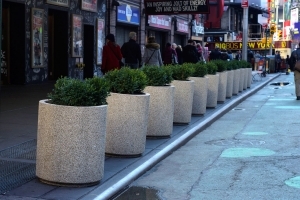 Nelson Construction won a contract to deliver and install the planters in front of Winter Garden and Broadway Theatres. 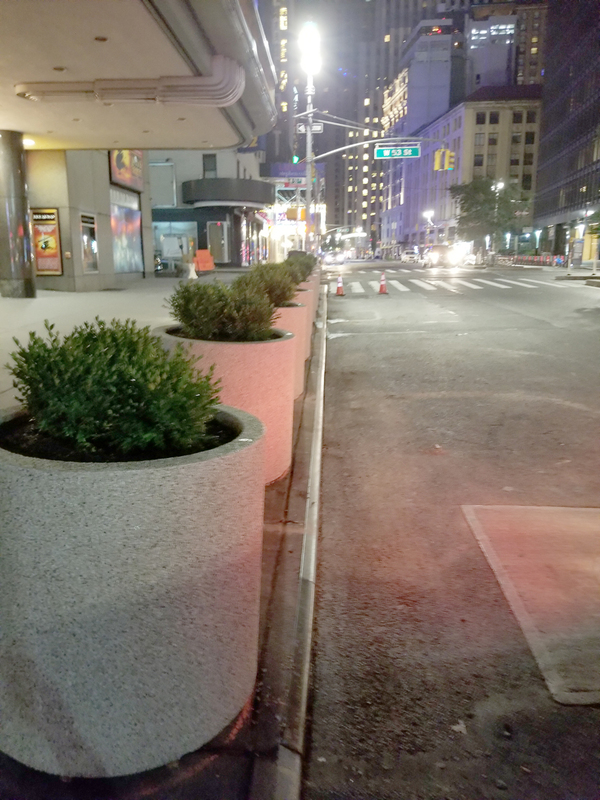 The planters will add a decorative look to the area, but the main purpose was to prevent vehicles from entering the area. Earlier this year a driver knowingly drove his vehicle into pedestrians in this area. The planters were installed to help prevent this from happening in the future. 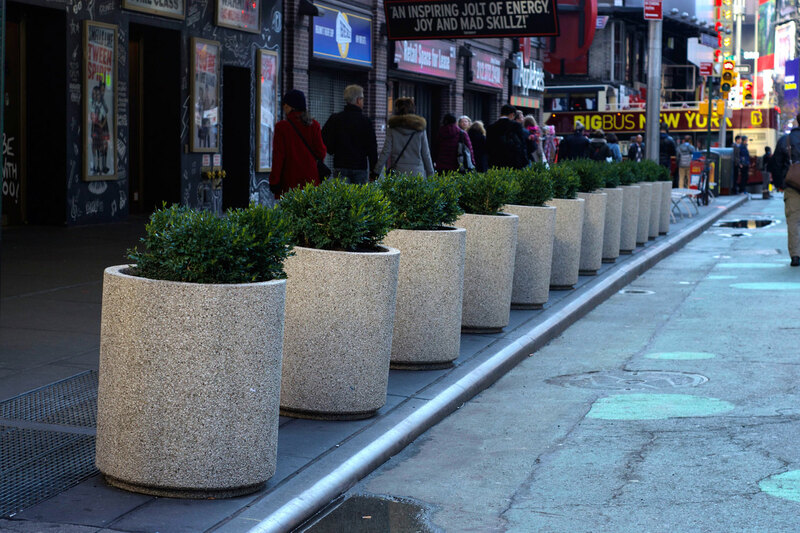 Doty & Sons manufactures over 100 different sizes of concrete security planters. We offer different styles and shapes. Decorative/security planters are available in both standard and special colors. The planters delivered on this project were a standard exposed aggregate finish, EX2 limestone. Security for both buildings and pedestrians, is very important. Doty & Sons also offers security bollards and pedestrian security blocks/shapes. Concrete bollards can be installed for permanent mounting over steel pipes or pinned and epoxy mounted. Security blocks/shapes can be set in locations to prevent or slow down unwanted vehicles. Visit our web site for available options or call. Our knowledgeable sale staff will help answer questions you may have. Planters 36″ Dia. x 30″ High. 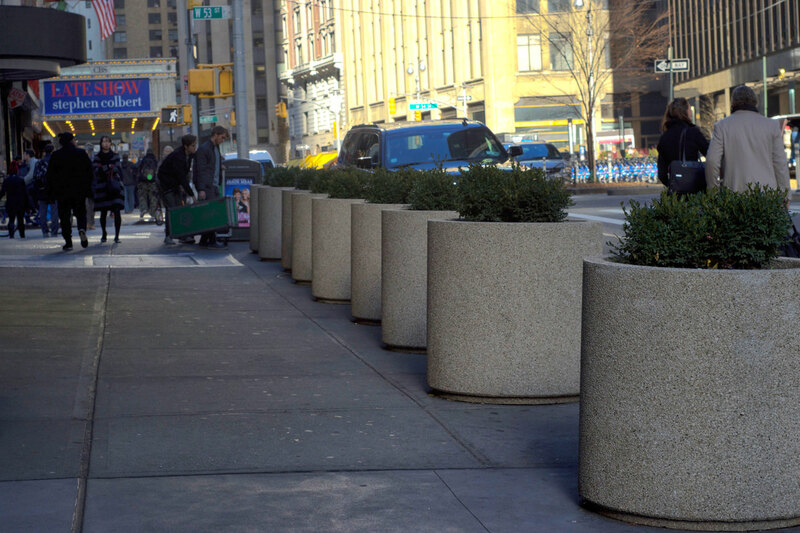 Security planters. Taken at night. 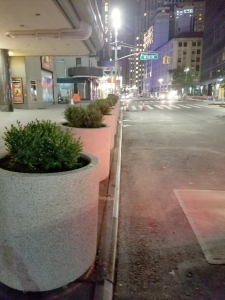 Security planters installed on Broadway St. in New York, NY.